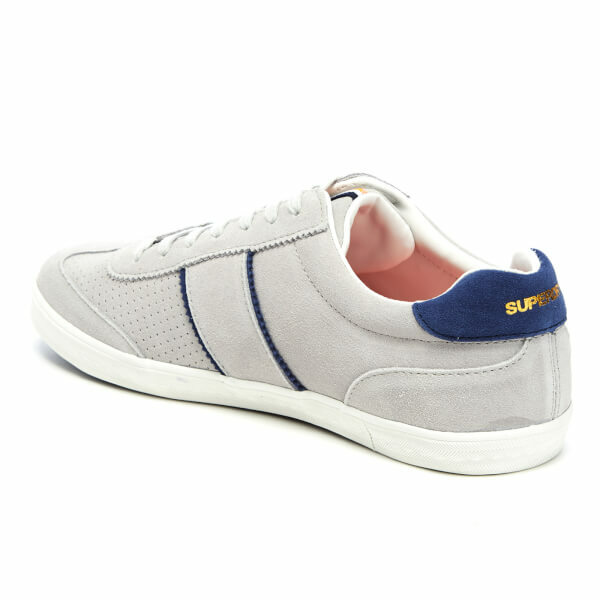 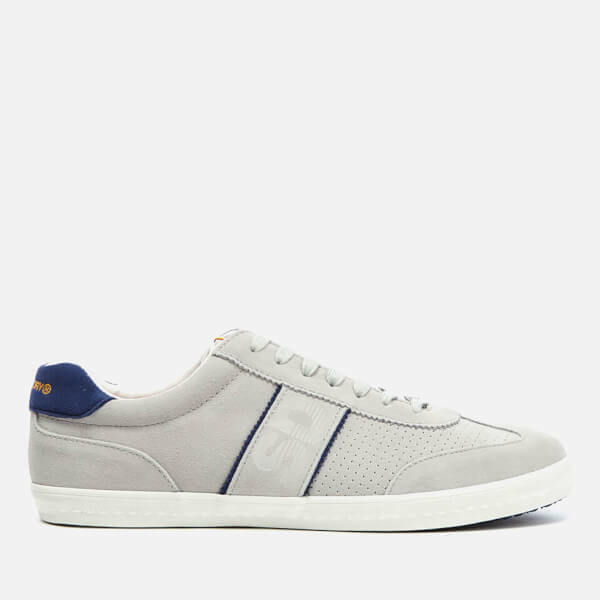 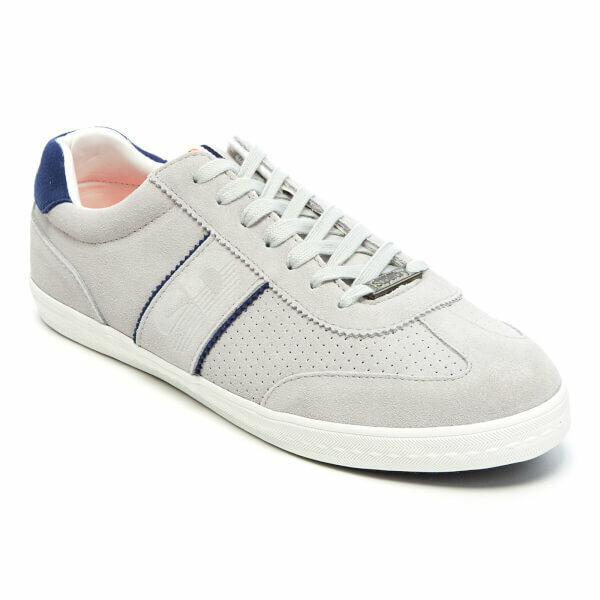 Men’s grey court trainers from Superdry. 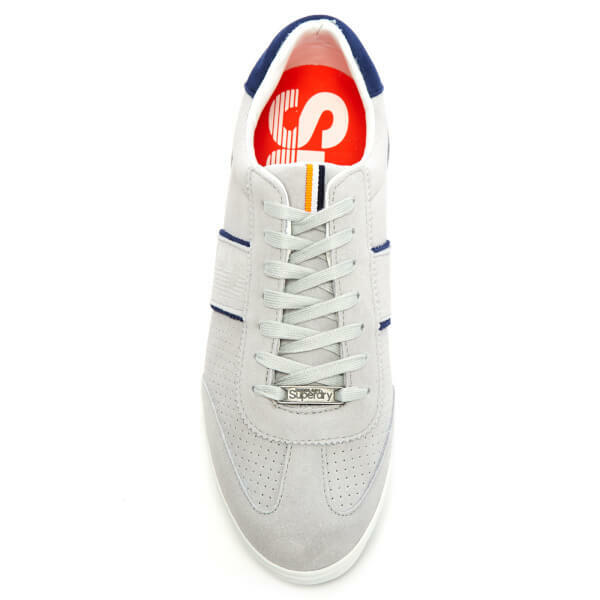 Crafted from suede, the classic courts comprise a rounded toe and a lace up fastening with flat, white laces and a branded lace lock. 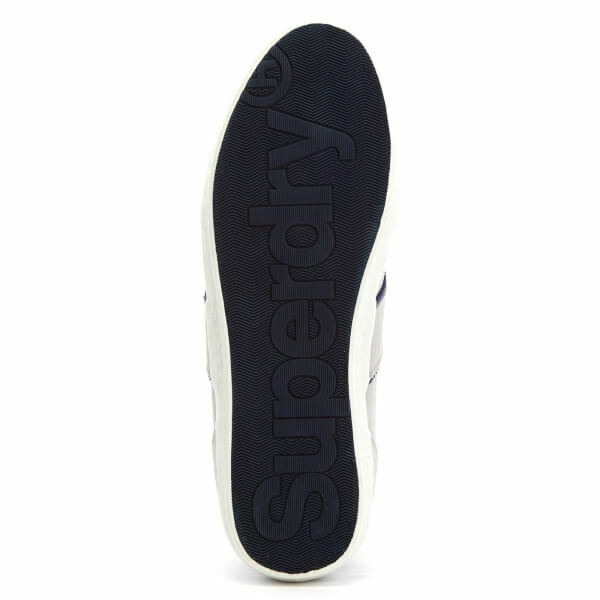 Placed upon a branded and textured rubber sole, the vintage sneakers are complete with breathable perforations, a contrasting heel panel with gold tone branding and a tri-colour tab stitched to the tongue.